In the human rights and digital policy space, where large corporations and state interests dominate, a strong and effective civil society voice is critical. But a movement is only as strong as the organisations which drive it. At GPD, we’ve spent the last ten years testing approaches to organisational development, seeing what works (and what doesn’t) both in our own internal context, and applied to our partners in the global South. 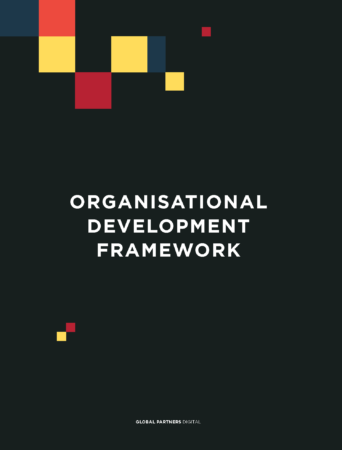 In our Organisational Development Framework, we share some of the insights we’ve gained, with the aim of supporting other organisations in the digital policy field in becoming stronger, more sustainable and more strategic. Access the accompanying interactive Organisational self-assessment tool here.